The KYMCO Venox’s 90-degree V-Twin engine benefits from some nice fat exhaust pipes that help with the sound. The motorcycle can be made much louder by doing a modification to the exhaust pipes, involving some work playing with the baffles. Should I remove the baffles of my Venox completely? No, you definitely shouldn’t. The online Venox community has heard of a few Venox owners who have done this, and some of them have heard serious problems, including engines seizing as a result of running too lean. How do I make my Venox louder? I recommend doing the following modification as outlined by latheworks. The directions are in spanish, however the illustrations are easy enough to follow. Personally, I had Studio Cycle (my KYMCO dealership) do the work, they’re much better equipped than I was. The job is essentially unscrewing the baffles, sliding them out enough to allow the sound to escape, without hurting the backpressure to the engine. Does the Venox sound better? Check out this video of the finished product by annox. The same mod was done on adri’s Venox and it sounds awesome without effecting performance. See the links below for additional instructions if you need them! 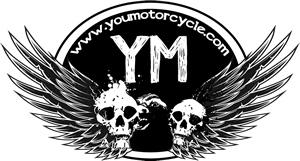 CHECK THIS OUT: How-To – KYMCO Venox Exhaust Baffle Mod step by step Instructions with Images.